The Pentagon said on Tuesday that 61 former detainees from its military prison camp at Guantanamo Bay, Cuba, appear to have returned to terrorism since their release from custody. 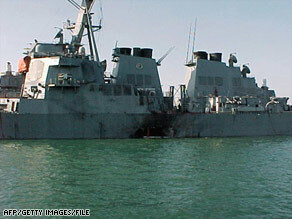 Rights advocates said the lack of details should call the Pentagon’s assertions into question. “Until enough information is provided to allow the press and the public to verify these claims, they need to be viewed with a healthy degree of skepticism,” said Jennifer Daskal, a Washington-based lawyer for Human Rights Watch. Rights advocates contend that many Guantanamo detainees have never taken up arms against the United States and say the Defense Department in the past has described former detainees as rejoining “the fight” because they spoke out against the U.S. government. 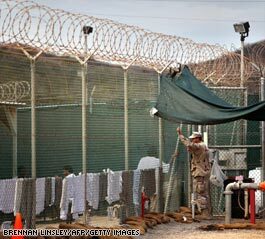 “The Defense Department sees that the Guantanamo detention operation has failed and they are trying to launch another fear mongering campaign to justify the indefinite detention of detainees there,” said Jamil Dakwar, human rights director at the American Civil Liberties Union. President-elect Barack Obama, who takes office next Tuesday, is expected to issue an executive order to close the Guantanamo Bay prison. Defense Secretary Robert Gates also favors shuttering Guantanamo. But the prison is unlikely to shut until after U.S. officials settle a myriad of legal and logistic issues, including a solution on where to house its occupants. About 255 men are still held at the U.S.-run naval base in Cuba, a symbol of aggressive interrogation methods that exposed the United States to allegations of torture. Pentagon officials say that about 110 detainees should never be released because of the potential danger they pose to U.S. interests. Washington has cleared 50 of the detainees for release but cannot return them to their home countries because of the risk they would be tortured or persecuted there. You are currently browsing the archives for the prison category.